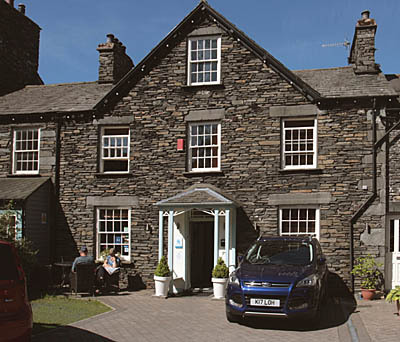 We are located in Ambleside town centre, adjacent to the iconic Bridge House. This is not a traditional B&B, we offer room only. 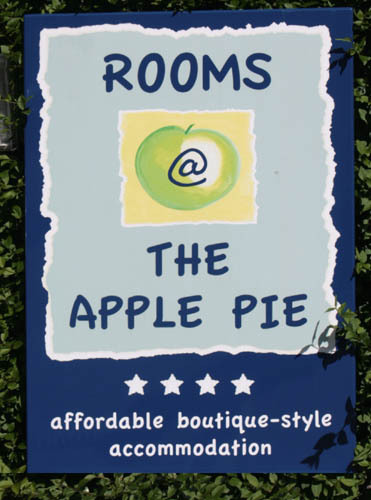 Breakfast is an optional extra next door in the Apple Pie Bakery & Restaurant. Your room key gets you 10% discount from breakfast menus and takeaway foods. There are 8 beautiful en suite rooms planned with your comfort in mind. Sumptuous beds, attractive soft furnishings and extra touches to make you feel at home. Choose from twins, doubles, king size. Dogs on ground floor only £15 per stay to cover extra cleaning.